My apologies, I mentioned on Easter Sunday's post that I would be back on Monday with a mini bloghop. I've just received notification that unfortunately we have had to reschedule this on another day. 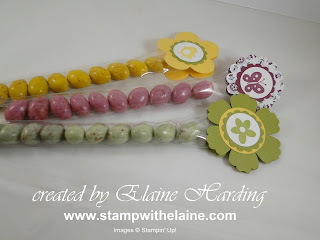 So as not to disappoint you, here are a couple of snippets from the original blog hop post . With it being the Easter break, I had to make something to contain Easter treats! 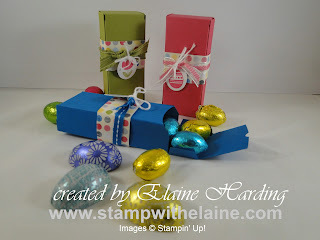 These little boxes were made from the Petite PocketXL die. I cut all three pieces of cardstock in Pacific Point, Lucky Limeade and Melon Mambo and wrapped some DSP round it and then tied it with co-ordinating ribbon. 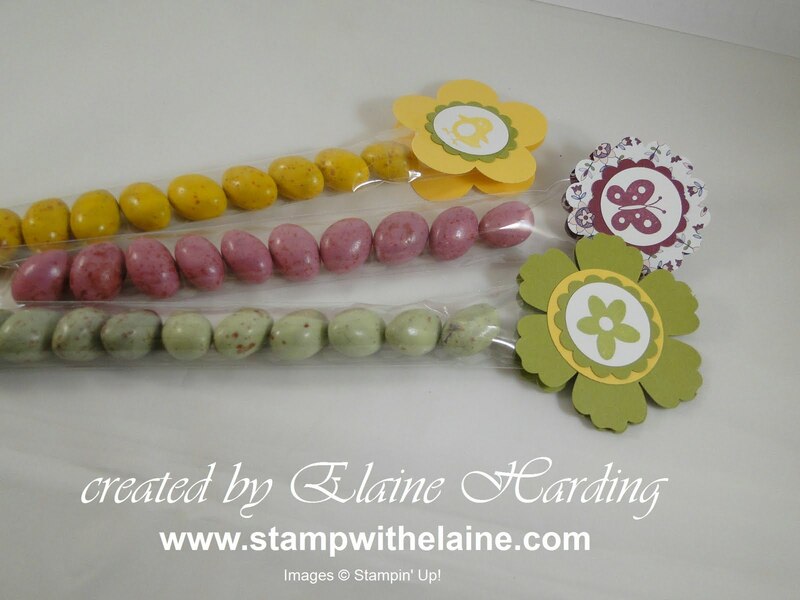 The stamped images were stamped on Whisper White card stock and punched out with the small oval punch. I threaded bakers twine through the holes on the tags and tied them round the ribbon. As a bonus - here are some card samples I made for the Sandown Show back in January 2013 which I don't think I've posted yet. All the materials used are available in the Spring/Summer 2013 catty. Summer Starfruit is an acquired taste, but it seems to co-ordinate well with Primrose Petal card stock. ....and the pinwheel die, and lots of items from the Spring/Summer catalogue - hope you like it.